A fairly recent survey from Citigroup exclaimed that now-a-days nearly 80 percent of college students take at least a part time job during the school year. With 12 hours spent daily on homework, 4 hours spent in the dining hall, 3 hours watching Netflix, and 2 hours explaining to Mom and Dad that everyone failed that test and/or paper, it seems that college students do not have the time to sleep let alone take on a job. However, the freedom to explore different entry level jobs, the ability to learn better time management skills, and the potential to offset tuition are all reasons as to why working a college job is a helpful and meaningful experience. 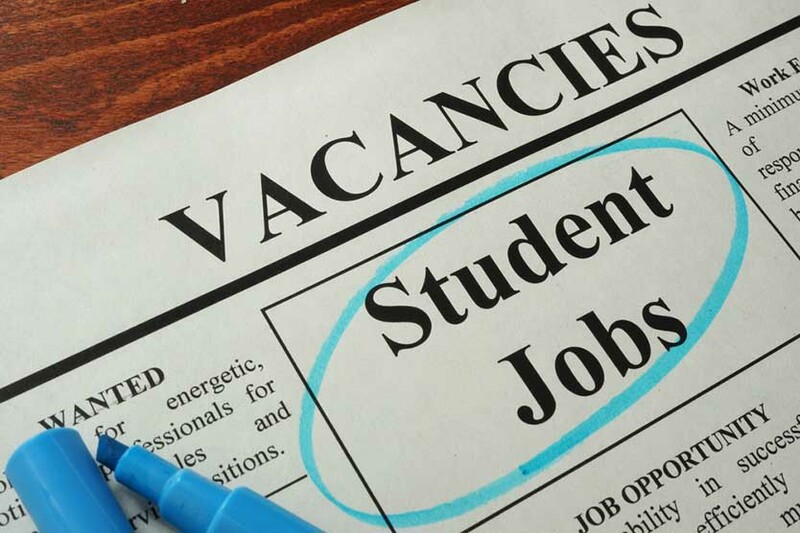 For those of you looking for a student job that actually pays, look no further as we have a list of several positions with solid wages and skills that can definitely translate into the workforce. Short Description: Handles serving and maintaining cleanliness within a dining hall. Description: Everyone has had a great TA; everyone has had an awful TA. Be the latter! Being able to help others succeed in a class is both rewarding and financially benefiting. Short Description: Accurately and efficiently processes routine transactions for bank customers including cashing checks, accepting deposits and withdrawals, processing loan payments and money transfers. Advertises the bank’s products and services. Short Description: Pet sitters provide daily care for animals while the pets’ owners are on vacation; allows the pet to feel comfortable even while their owner is away. Short Description: Essentially, administrative assistants assist in the daily running of a business. He or she usually works alongside a boss or any person with clerical or administrative responsibilities. Description: Probably the easiest job that can fit into your schedule. It requires writing, obviously, and being able to multitask different activities such as listening and taking diligent notes. Some universities even have a scribe program where you can get paid through the university. Short Description: Assists students in improving academic ability by meeting with them on a regular basis to clarify learning problems and work on study skills. Often look over problems given by the teacher, but can be called upon to create his or her own problems. Short description: A resume writer writes resumes for a client. Given the short period of time that employers have to look over a resume, there is a sense of urgency to present a candidate in the best light; this falls on the resume writer. Description: If you have an idea, do not wait for any of these jobs to earn you money and help garner workforce skills. The beauty of being a college student is that at any time a brilliant idea can change both the inventors and the public people’s life.